Fruits and vegetables are the most important sources of nutrition for vegetarians. While non-vegetarians have many other sources, the importance of fruits and vegetables is unparalleled. A lot of people grow fruits and vegetables in their own backyard to have the freshest of fruits and vegetables. If you grow fruits and vegetables in your backyard and are waiting for them to ripen so that you can eat them, you need to know the perfect time when the fruits or vegetables are ripest and best to eat. This article educates you as to when it is best to pick the ripest fruits and vegetables for the most common ones grown in backyard gardens. For fruits and vegetables to taste the best, it is crucial for them to be truly ripe rather than just being somewhat ripe. The best time for picking is different for every fruit and vegetable. People mostly pay a lot of attention to the process of growing their plants and are oblivious to the most appropriate harvesting time. The reason why you need to make sure you pick the fruit or vegetable when it is the ripest is because the taste and flavor of the fruit or vegetable highly depends on how aptly ripe it is. Various signs in different fruits and vegetables, like color, size, and sheen signal whether a fruit is fully ripe or not. While people mostly take care of not picking fruits and vegetables before they are ripe, people often wait too long and cause the fruit or vegetable to be over-ripe. Remember, if you harvest them before or after it is optimally ready, it doesn’t yield the best of its taste. Vegetables are such parts of plants that are food to primarily humans and animals. Leafy vegetables are different from root vegetables since leafy ones are found above the soil as the name suggests, and root vegetables are apparently those that are grown under the soil. Examples of leafy vegetables are cabbage, lettuce, and spinach. Vegetables such as tomatoes, corn, and peppers are the fruits (in a different sense from what we use to refer actual fruits) that certain plants bear after the process of reproduction. 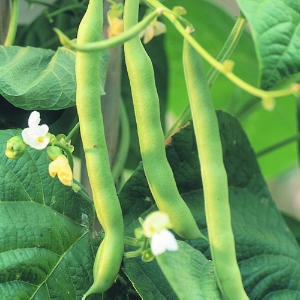 Green bean plants can either grow as vines or as short bushes and are considered to be a good source of nutrients. While green beans with string-less pods are the most popular variety, some people still rejoice the flavor of the traditional string-type green peas. You can harvest the bush beans in 50-55 days and pole beans within 50-60 days. You can harvest the beans as they firm up but before the seeds bulge out by gently pulling the beans from the vines or snapping them off the vine end. These plants produce new beans as you harvest earlier ones. So, it’s healthy to harvest often and when you harvest, make sure that the tips are pliable and the beans are crisp. 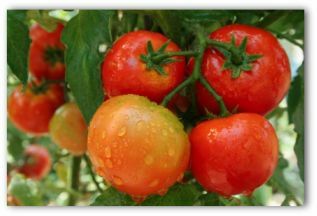 Tomatoes are usually grown by late spring or early summers because these plants require 6-8 hours of sunlight every day to produce the most flavorful fruits. Since these plants are weak, they need support like a pole or should be grown in a vertical cage to keep them off the grounds. You can grow tomatoes in flower pots in your garden by ensuring that the pots are big enough since the roots of these plants grow pretty deep. You can pick tomatoes when they are fully colored and firm, regardless of their size. It’s okay if they are slightly soft. Keep them as long as possible on the vines till they are plump and red. In the summers, you can pick them when they turn pink and let them ripen indoors so that they don’t crack at the top. Make it a point to pick them before the frost even if they are green and keep them in a dark place indoors where they will ripen. Spinach is a green plant with edible leaves and stem whether raw or cooked. They can be grown in a cool climate with well-drained soil and ample sunlight. 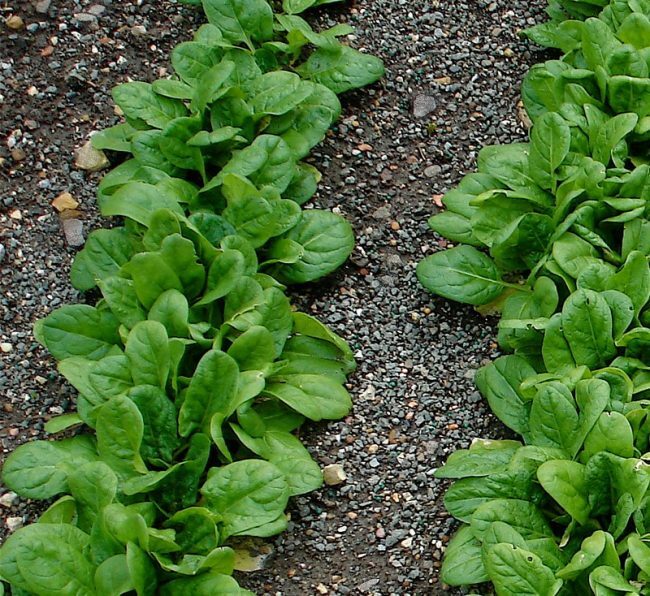 You can harvest spinach in spring or fall and if you love having them a lot, you can even grow them twice a year. You can either pull out the whole plant or you can cut just the older leaves to encourage more growth. Cut leaves that look healthy, green and are about 4-6 inches long. Check if these are fresh leaves because the leaves that are left on the ground for long can be bigger but have the chances of tasting bitter. Peppers can be sweet, spicy, or hot and can be consumed when green, red, or yellow. They should be grown indoors at first and then transplanted. You have to hold the hour-glass a little longer and practice patience as they take quite a long period of time to bear fruits. They are about the size of a baseball and are green in their early stages of growth. You can harvest them when they are shiny green and plump or wait until they turn red or yellow. Either way, they are good to eat. 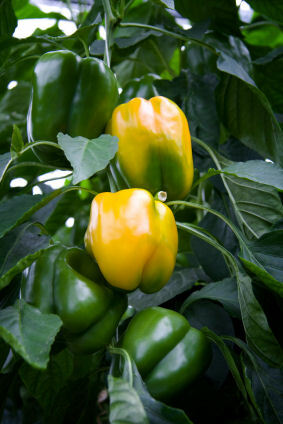 Hot peppers are the ones that turn red or yellow when they ripen, so based on what you want to have, you can either wait or harvest right when they’re green. 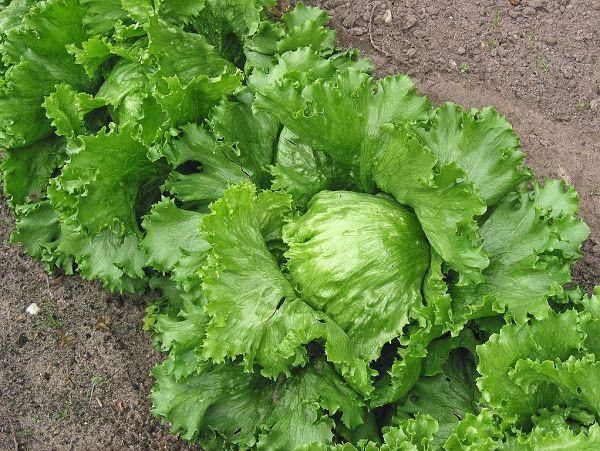 Lettuce is a green leafy vegetable grown primarily for its leaves. 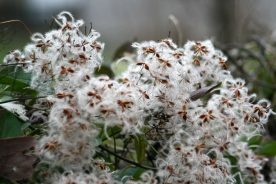 Nevertheless, it is also grown for its stems and seeds. It can be grown continuously throughout the season and a cool climate, and soil with humus, compost and a lot of nitrogen is preferable. The flavor of lettuce is best when the leaves are less than 5 inches long. The perfect time to harvest is when the leaves are green, healthy, and crisp. You can pick them with your hand or a knife. Corn, also known as maize is a large grain plant that bears yellow-colored fruits on cobs that are covered by pale greenish white leafy structures called husk. There are string-like or hair-like structures at the tip of a corn cob called the silk of the corn. Corn when removed from the husk and silk is called a corn ear. Properly ripe corn will have healthy, green, and pliable husk that is tightly attached. 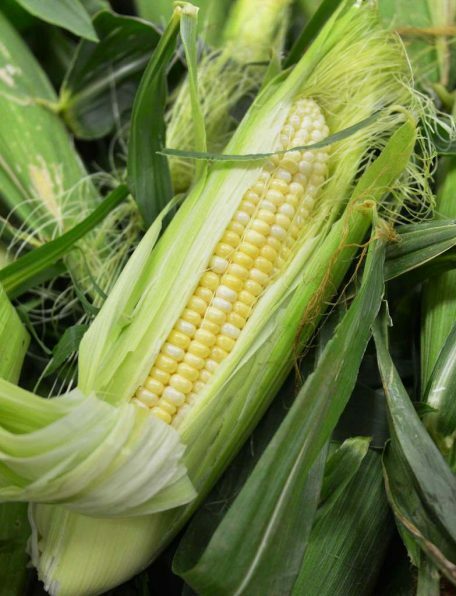 The corn ear will lose its flavor within 72 hours after it’s picked and needs to be consumed fresh. Try stabbing a kernel with your finger after removing the husk; if a milky white liquid oozes out of the kernel, then it’s ready to be picked. Root vegetables are fleshy roots of certain plants that are edible. While leafy vegetables and fruits of these plants, like beans and tomatoes grow above the soil, root vegetables are those that grow below the soil. Potatoes are best grown in well-drained soil with adequate moisture. The plant is green and grows up to 6 inches. Hilling is an important thing which is done to cover the root properly and also for support. If constant hilling is not done, the sunlight can make the potatoes underground turn green which makes make them bitter. This is quite unfavorable since green potatoes cannot be eaten. 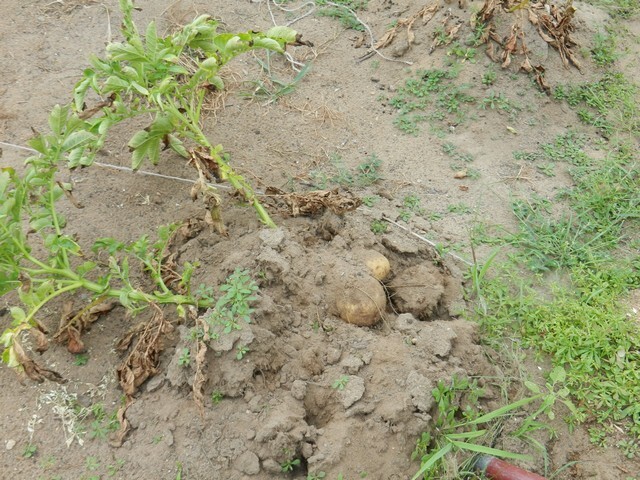 Harvest potatoes on a dry day, and make sure the soil is not compact to make it easy to dig without damaging the root. Harvest them when the foliage starts to dry. Cut the foliage which is getting dried and wait for 10-14 days so that the skin of the potato gets thick, but don’t wait too long as it will result in rotting of the potato. 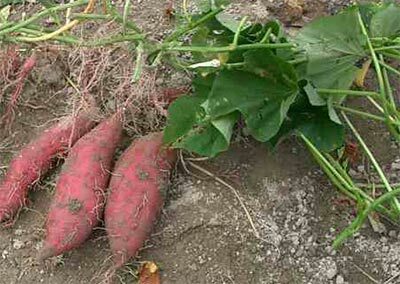 Sweet potatoes are not tubers but fleshy roots of a certain plant that is native to Central and South America. The foliage is green and heart-shaped and the flesh of these roots can vary in their color or can be dry or moist for different types. The color of the flesh of sweet potatoes can be white, yellow, orange, red, or purple. They prefer warm climate so you can plant them during the beginning of spring. Harvest the sweet potatoes before the first frost. Dig for the roots when the vines turn yellow. Digging should be done carefully so that the sweet potatoes don’t get bruised or cut. After the harvest, they need to be kept in a warm and well-ventilated place for curing so that the starch gets converted to sugar which gives it the sweet taste. 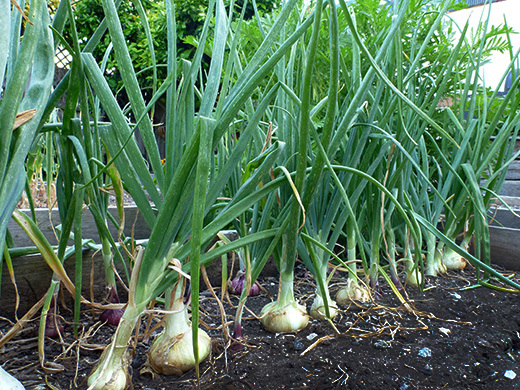 Onions are best to be planted in the spring around March or April. The temperature should not go below 20 degree Fahrenheit. You can harvest them after a few weeks if you want to use them as spring onions or scallions and there is no perfect size-you can pull it out whenever you feel like. The most ideal time to harvest green onions is when the plant is 6-8 inches tall and the bulb is 1-2 inches in diameter. Let the top of the plant get dried and fall over before you pull the onions up. Keep the onions out to dry for a few days and then cut the top part. Carrots can be grown in fall or winter. Since they take around 80-90 days to be ready for harvest, it’s better to plant them 2-3 months prior to the first frost. Carrots are orange in color and grow long underground because they are tap roots. Harvest carrots when they have a diameter from 1\2 inch to 1 inch. They should have smooth and firm body with bright color. 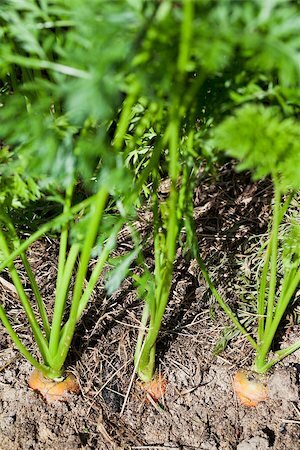 Check if the leaves are crisp and green before you harvest the carrots. Make sure that the soil is adequately watered since too much of dryness or wetness can cause splitting of the carrot which can make it bitter. 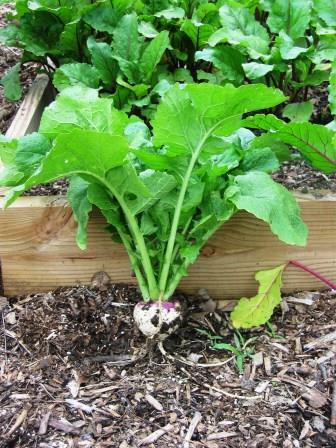 Turnips can be grown throughout fall and winter. 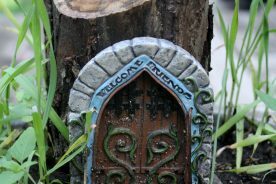 They grow fast and easily in well- drained soil and have green plants with purple roots that are consumed as vegetables. It is ideal to plant them 2-4 weeks prior to the first frost, around late August to October. You can harvest them early, as green turnips and the leaves are also edible, tasting the best when fresh and tender. Harvest them when they are tender or harvest them after the first slight frost for a sweeter taste. After the harvest, cover them in straw and store them in a cool place for 3-4 months. Tree fruits are those that grow on trees unlike garden fruits or vine fruits that grow on small plants, bushes, or vines. Apples, oranges, and mangoes are examples of tree fruits because they grow on trees. Despite the fact that the word pineapple has “apple” in it, this is an exception to the rule since pineapples are not tree fruits as they grow on plants that are close to the ground. 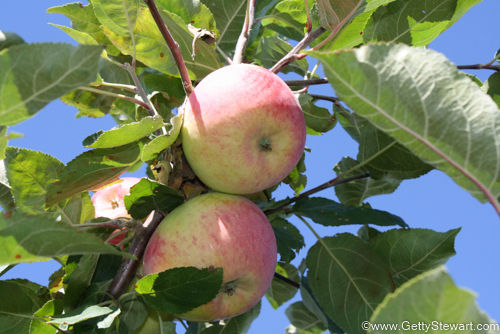 Apple trees grow in places with well-drained soil and ample sunlight. The trees require nutrients as well as air in the soil to be more productive. However, different types of apple varieties require different types of climate. You can grow the ones that grow the best according to the temperature variations in your area. You know it’s time to pluck them from the tree when they are firm, smooth, and richly colored. Hold the apple in your hand turn it and slightly pull it when you want to harvest them. 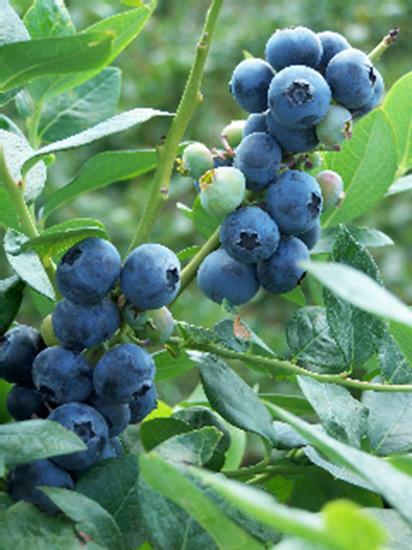 It is important to know that blueberries can only be grown best if your area has the right climate needed because not all varieties of blueberries can grow well in all climates. Blueberries grow on shrubs and bushes that are almost tree-like with woody stems and are an enticing source of nutrition. Blueberries are ready to be picked when they easily come off to your hands without having to pull them hard. The berries should be uniformly colored in blue and must have the slight white color coating of the bloom which is powdery in texture. Different varieties of peaches grow in different climates. Plant them in well-drained soil and in a place where they get ample sunlight. 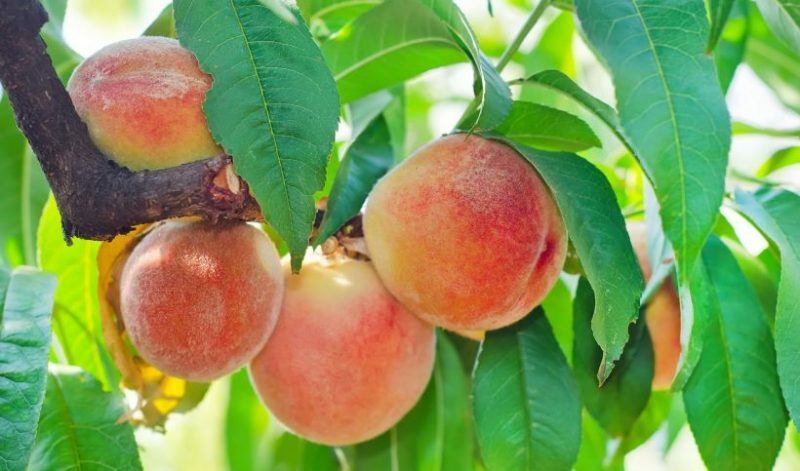 Avoid low areas because the frost can easily settle there and spoil the peaches. To know if the peaches are ready to be picked, try to twist them gently; they should come off easily. The ones that are on the top and outside areas of the tree ripen first. When they are ripe, peaches develop a golden color with no trace of green on them. 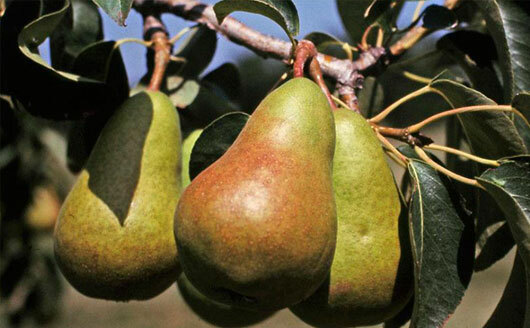 Pears require well-drained soil with adequate moisture and varying climate requisites based on the variety. Most of the pear trees are not self-pollinating which makes it necessary to grow more than one tree in an area to ensure good productivity. Pears should be harvested while they are still firm. Most varieties of pears do not change color when ripe and you can make out if they are ready to be picked by their fragrance and ease to yield. However, they should be evenly colored when you pick. 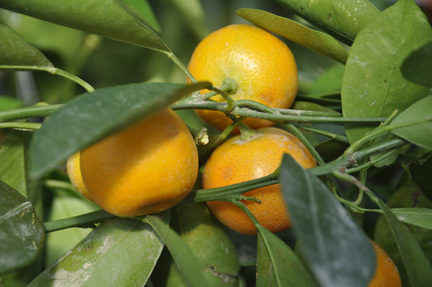 Standard orange trees grow up to 18-22 feet tall but there are dwarf varieties that grow 8-12 feet tall as well. Oranges that are sweet and sour grow well in areas with tropical or sub-tropical climate. The temperature should be warm with only mild winters. To check if the oranges are ready to pick, get one among them first and taste it. They should look plump and fully colored without any green color or soft spots. Garden fruits, as apparent as they sound are those fruits that are easy to grow in your garden. People often set up orchards in their gardens to grow fruits for consumption or to sell. If you have a green thumb and you don’t want to eat fruits that are exposed to pesticides, you can always grow garden fruits at home. Moreover, fruits that are locally grown have more demand and you can make an earning out of your favorite hobby. 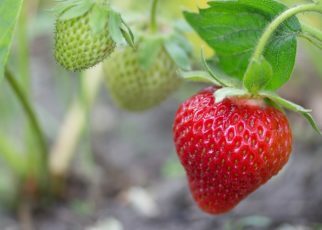 Strawberry plants spread with the help of vine-like runners and should be planted from late spring to early winters and will bear fruits by 60 days. These have dark green compound leaves with three leaflets that are deeply serrated and are of medium thickness. Check if the strawberries are bright red, plump, shiny, and have a sweet aroma. They are green capped and most of the varieties have fruits that grow up to 1 inch in diameter. 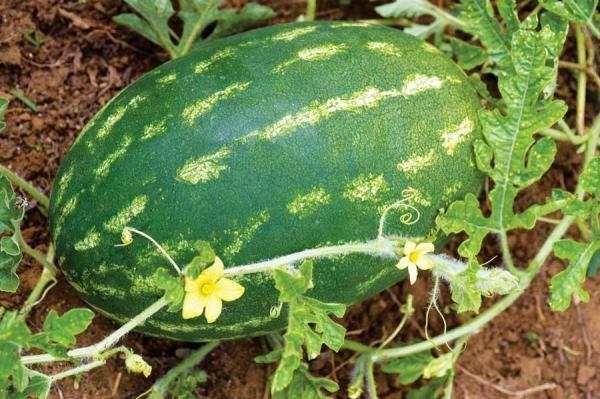 Watermelons take at least 80 days to grow and their seeds require warm soil to germinate which means these plants should be grown during early summer. They prefer loamy, well-drained soil and their vines need extra care because they are very sensitive. If the watermelon is ripe, it will be fully symmetrical and the part where it touches the ground will turn yellow. Knock on the melon with your knuckles gently to hear a dull hollow sound. The watermelons that are ideally ripe will neither be too shiny nor too dull on the outside, and their stem will start to curl and turn brown. Cantaloupes, also known as muskmelons are grown with the help of a trellis to support their vines. They are grown in hot climate and have a relatively long growing season. They have net-like, tan rind with sweet orange colored flesh inside that is edible and quite delicious. Cantaloupes are ready to be picked if the color under the netted skin is yellow or cream. You can also check for the sweet aroma and the hollow sound when thumped. Press the blossom end and check if it’s springy, if so, they are ready to be harvested. 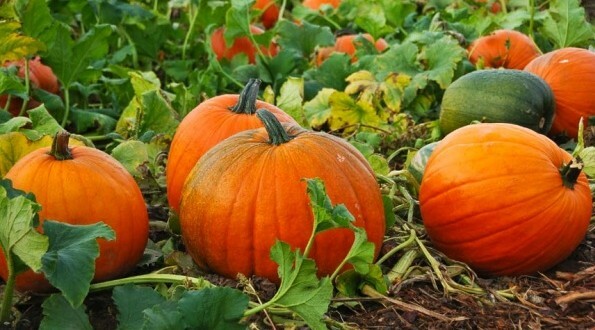 Pumpkins require warm climate and have a long growing season. If you live in the north, it’s best to plant them in late May and if you live in extreme south, you can plant them early July. If the pumpkins are ripe enough to be picked, they will be plump and have a bright color without any traces of green, gloss or soft spots. The stem will be strong, dry and firm. Try stabbing your finger through a pumpkin and see if it’s easy to do it or not. If the pumpkin is ripe, you will need to push your nail harder and if you can do it easily, that means the pumpkin is still immature. Vine fruits are those that grow on vines and produce sweet fruits, like grapes, berries, passion fruit, and kiwi fruit. You will require a set of structures or trellis to grow these plants in the best way since their vines are weak and require support to grow on. Grapes are delicious fruits that grow on vines and can be of red, purple, and green color. They are grown in sunny and warm areas with well-drained soil and bear fruits after three years. 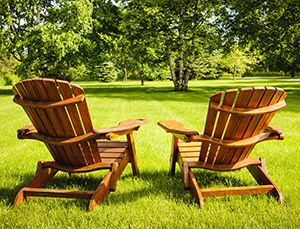 You may require an arbor or trellis to grow them and you need to ensure that they get enough sunlight. 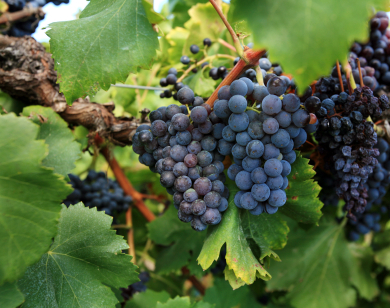 If the grapes are ready to be picked, they will be plump and tightly packed to the stem. If you’re growing the purple variety, it should look totally black on the outside without any green and if you’re growing the red variety, they should look bright red without traces of green. When it comes to green varieties of grapes, the ripe ones should have a yellow tint. Raspberries should be grown 4-6 weeks prior to the first frost. They can bear fruits throughout the year since they are perennials. However, most of the varieties of raspberries are summer-bearing and a few of them are ever-bearing. The plants have light green leaves that are spade-shaped and are toothed by the edges. There are red raspberries and black raspberries (that are not black berries). 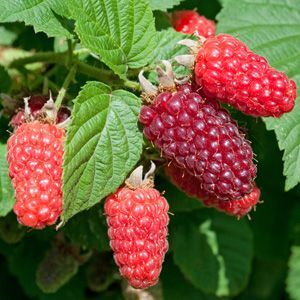 Raspberries that are ripe will easily come off the vine when you pick them. 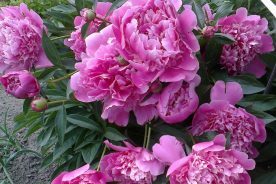 Look for uniform and bright color with sweet fragrance and firm outside. Don’t wait until the berries gets too soft or mushy because that will spoil the taste. Not all fruits and vegetables can be stored in the same way and for the same period of time. Vegetables, like corn, bell peppers, and tomatoes needs to be kept in a refrigerator or eaten right away since they can get spoiled soon. Root vegetables, like sweet potatoes and potatoes need to be stored in a shady cool place indoors so that they can develop thick skin. If you have an abundance of fruits, you can either can them or make jams and pickles in order to store them for a long period of time. Also, you can sell the excess fruits and vegetables at the nearest market. Another option would be to dry the fruits and vegetables and produce seeds out of them and use in the next season or sell them. No matter how convincing and reliable market sold produces seem there is always a bit of doubt which makes self-grown produces an absolute go. There can be nothing challenging the fact that what you are growing is totally healthy and organic. You can also earn some money if you can harvest enough produces since we have landed back in time where people prefer organic produce to those that are exposed to chemicals.